The Quilter's Tacker and Extractor were designed by and for quilters to alleviate the pain and headache of tacking a quilt to the frames. These tools help to put tacks in a quilt frame, take them out, and straighten bent tacks. If you are a hand quilter, you can understand how annoying and painful placing and removing tacks into frames can be. This magnetic tool puts the tacks in so all you have to do is push it down on the handle and your tack is set by a high impact thrust of the tool. Then to remove the tack you simply use the companion extractor tool that easily lifts the tacks out without damaging the fabric, and can also be used to straighten the tack. 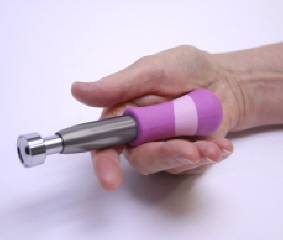 This tool is great for quilting and other crafts. 1. Position the tack in the magnetic end of the tacker, as shown in the illustration. 2. 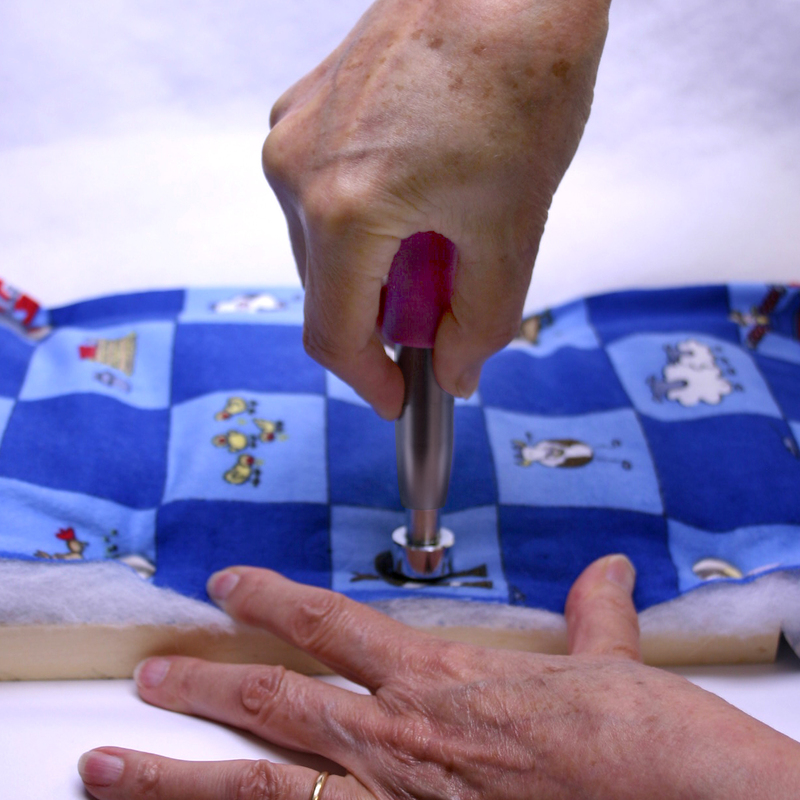 Apply slight pressure to the ergonomic handle of the "Quilter's Tacker" as the high impact thrust of the tool sets the tack into the desired surface. 3. 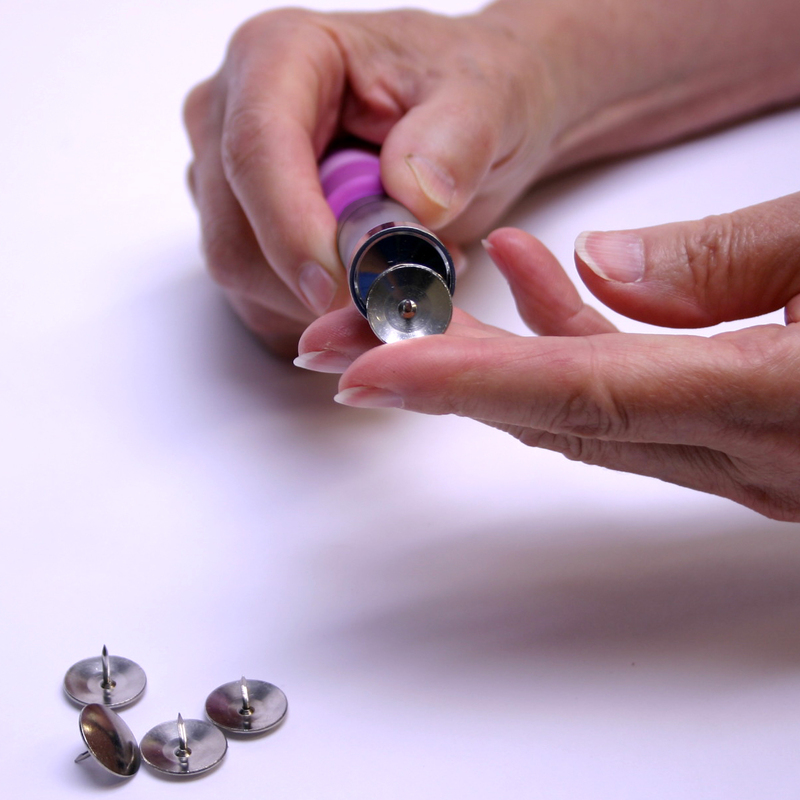 To remove a tack: insert the blade of the extractor under the head of the tack, then press down on the handle. If tack is bent, use reverse side of extractor to straighten the tack.